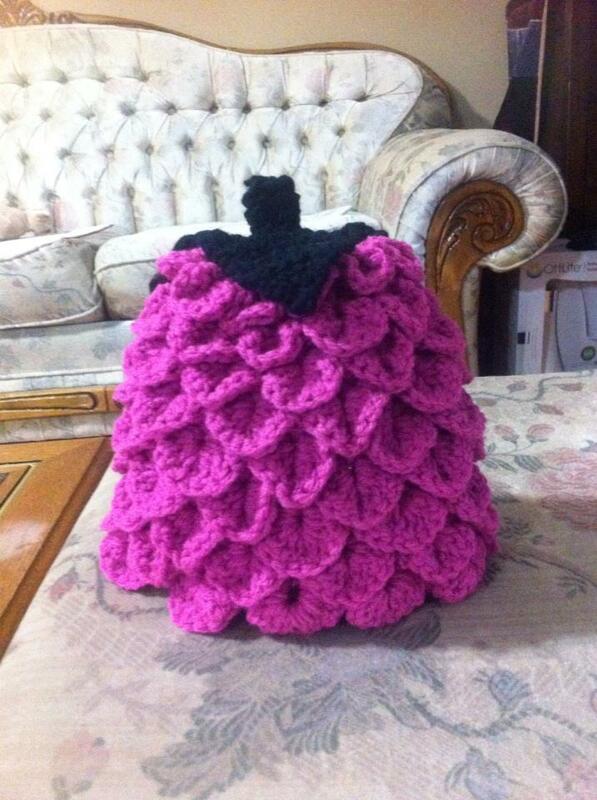 Since the craft fair I have gotten quite a few orders.. yay! 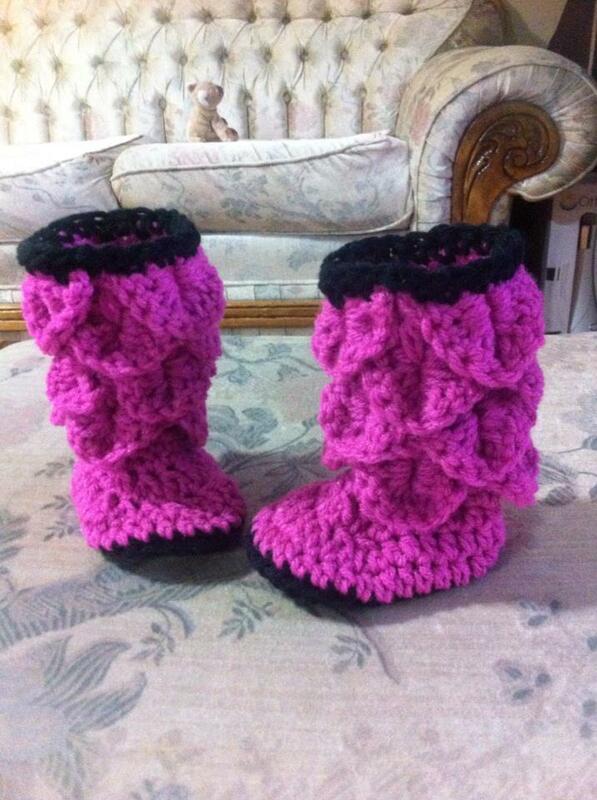 I’m really excited about starting my crochet business. So far all orders have been for hat and booty sets, but I am hoping to expand and do some custom bears and stuff. what is really cool is that 2 of the orders have come from people I have as friends on FB for farmville. I was posting pics of things I mad for the craft fair and they messaged me asking if I sell my work and they wanted to order some stuff. 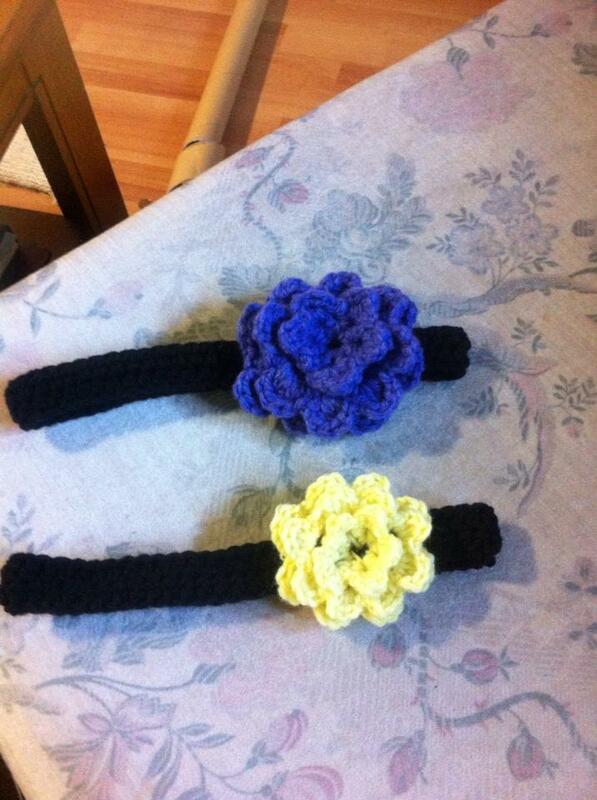 The first set was ordered by my friends SIL- hers is the dark purple and white flower and non-slip bottoms. She also ordered 2 head bands for her daughter. This set is for the friend I made the star blankie for. I don’t have a finished pic of this set.. I totally forgot to take one lol. 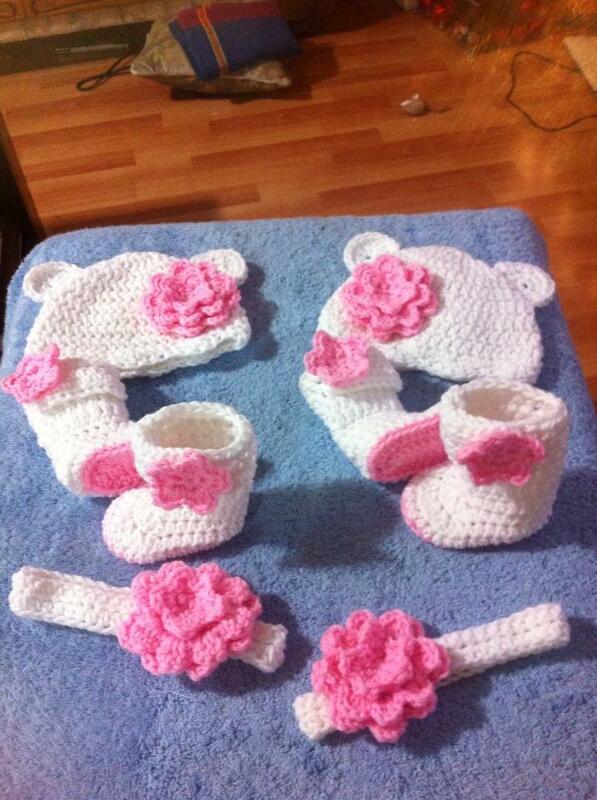 My step mom ordered this set for her friends baby shower. It is for a little boy. 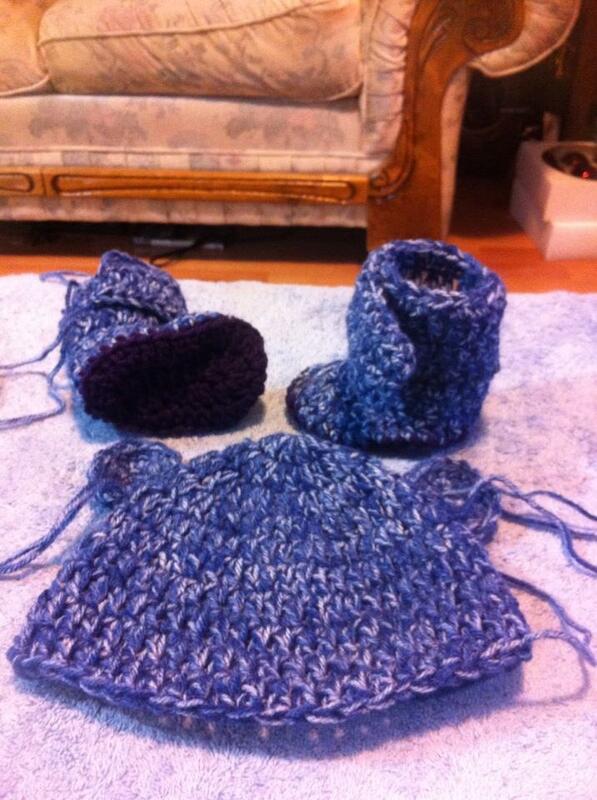 The buttons on these booties are a browny-creamy-bluish colour.. almost swirled. 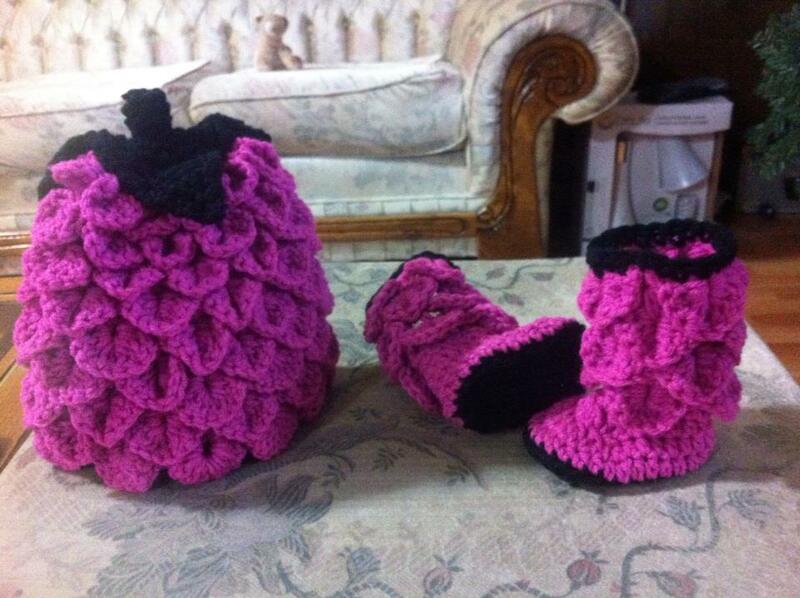 These two sets are going to the states to one of the ladies I mentioned above(FV friend). Her friend had twin girls who were not expected to make it… they did though I am glad to say 🙂 I gotta say I absolutely LOVE this pink and white together. They have such a classic feel to them. So pretty. I saw this picture and fell in love. Baby M would look soooo sweet in this hat… only thing is I could probably make this myself and while I love supporting fellow crocheters, I don’t have a lot of money and if I can figure it out on my own, I will. Soooo I did. After looking on youtube to learn how to do the stitch I came up with this. I am happy with the result. The leaf part isn’t as big so I may change that on the next one I make but all in all I really like it. 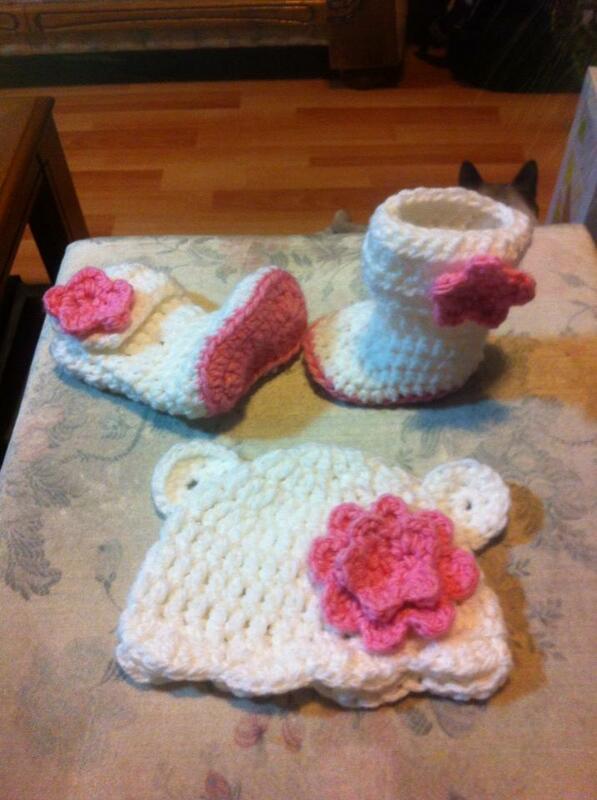 So along with the hat M needs booties to match. I saw this on Pinterest and ahhhh ohMgeee soo freaking cute! Again with the “I can make it myself thing”.. Tho I will say that I was and still am tempted to buy it so I can figure out the way to do it so it is button up. I could not figure out a way for the button up no matter how I tried so I just did it in the round, and added a top edge in the contrasting colour. I may add a couple buttons on the side, I’m not sure yet. They remind me of moccasins so I am naming them the Croc Mocc.